Hycount Plastics & Chemicals manufactures high quality PVC pipes and allied products employing the state of the art technology. Being made out of virgin raw materials Hycount pipes are highly hygienic. The mirror-smooth interior permits frictionless flow of fluids leading to considerable saving in energy. 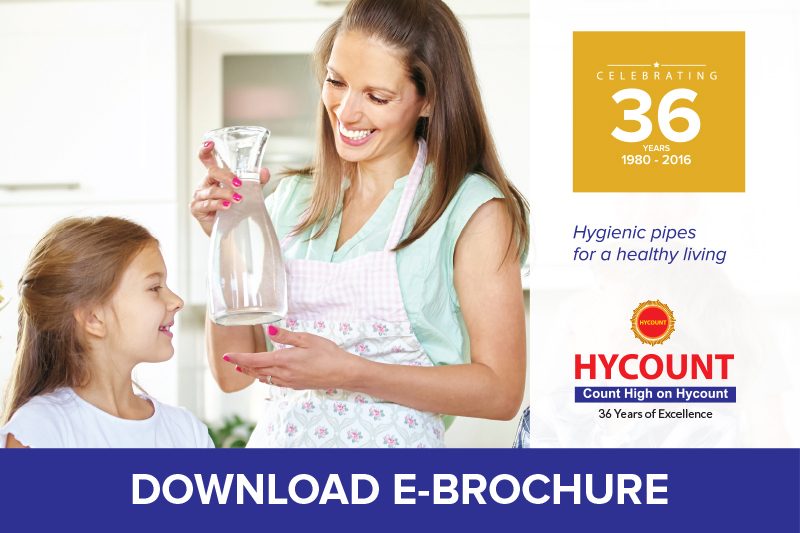 Hycount Plastics & Chemicals was commissioned three decades ago at Kollam for manufacturing uPVC pipes for potable water supply. Considering the high installed capacity, we have started manufacturing of Electrical conduits, which is of immense demand in the regional market. Hycount Plastics & Chemicals has always been striving hard to bring in best for maintaining its commitment and determination for the quality of pipes being manufactured. We are specialized in the manufacture of high quality uPVC pipes employing the state of the art technology. Produce longer screws having latest heat balancing system to maintain the correct heat thereby yielding high output. This technology with low screw speeds results in low shear stresses, gentle plasticizing and low screw wear.